When new legislation passes in many states, the array of issues that come to new elected officials varies considerably. Shoplifting laws are one of the many topics legislators review to make sure the punishment is appropriate. Businesses and small businesses in general need to be protected by the laws of the country to ensure the economic growth of a locality, the state and ultimately the country. The punishment for shoplifting varies according to the state and in some instances the county where the business is located. Laws are put in place to make sure these silent crimes are not committed with impunity, and the shoplifter is prosecuted according to the law. Unfortunately, many of these shoplifting incidents are not prosecuted for many different reasons. Ultimately, it is up to the business to decide whether to prosecute the shoplifter or not. As a business owner, they have to consider the costs associated with prosecuting shoplifters as a rule and whether it is economically sound to do so. A lawyer’s fee for an hour or to prosecute a case depends on the region, the experience and the complexity of a case but, either way, their fee does not come cheap. As a business owner, is it practical or economically possible for you to have a privately retained attorney? Is it your business practice to prosecute a shoplifter regardless of the quantity they steal? There are many questions one needs to answer, and many options you have to make as a business owner regarding shoplifting. Shoplifting in the United States have become a multi billion nightmare for businesses in the retail industry. From the casual shoplifter to organized retail rings, the losses the retail industry suffers are staggering. The small stores or shops in this industry have to fight and stop loses because their livelihood depends on their ability to stop the shoplifters. The profit margin from sales is too small for them to ignore the problem or to neglected it for too long. For many of the small retail businesses, a loss prevention system that allows them to protect their merchandise and profits is one of the best ways to invest in their business. Big retail chains have for many years now invested in loss prevention systems to help them minimize the losses and help them prevent shoplifting and employee theft. A loss prevention system that gives the employer or management of the store up to the minute information about the merchandise , allows them to do their job more efficiently and helps them prevent theft is an investment that will pay off sooner than you think. Shrink in the retail industry is a loss that many retailers seem unable to fight. The budget to invest in security in the retail industry has declined over the years with no plans to restore it now or in the foreseeable future. Many of the small retailers believe that installing a loss prevention system will be too expensive for them to afford even though they seem unable to stop the shoplifting that is causing their store major losses. 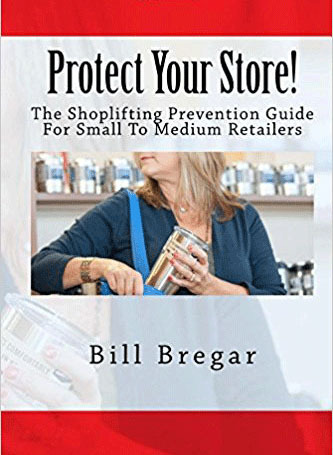 Loss prevention systems that allow these retailers to deter the shoplifting from happening in their stores are an investment they seem to ignore or to believe they are too expensive for them to even consider. The benefits associated with installing a loss prevention system in a retail store are numerous, and research has shown the investment of purchasing such system can be recouped within a year. Many retail stores do a physical inventory regularly that allows them to gauge the state of their store. Depending on the size of their business, this physical inventory should be done at the end of the month or quarter, and definitely one at the end of the year. For many retail stores, if an inventory is done after the holidays, it can offer a very shocking reality. The shoplifting, employee theft, vendor and clerical errors are seen clearly and painfully, and cannot offer an explanation or a solution to the tremendous losses in the store. A physical inventory is also a very expensive way to account for the merchandise in the store. The many hours and personnel required to do this kind of inventory are financially draining for many businesses and their bottom line. If after the holidays your business has decided to purchase and install a loss prevention system that will allow you to deter the shoplifting and employee theft in your store, there are a few key features such system should have to help you be successful. A software platform that allows the retail business a concise and up to the minute inventory analysis to make the necessary adjustments for their business. A loss prevention system that will offer training to your employees and help you navigate solutions to your specific problems. There are many loss prevention systems sellers that will help you find the financing available, give you the training, and the customer care you need to make the installation of the system a success. Having doubts about buying and installing a loss prevention system in place is understandable and expected. But, letting shoplifting, employee theft and other external factors influence the earnings you work hard to earn is not a sustainable solution. Contact us and talk to us, we will be happy to work with you. For a loss prevention officer, the holiday season is a hard time to be jolly when the busiest shopping season of the year brings with it its shoplifters, crime, and theft. During the holiday season, the number of incidents involving shoplifting increases considerably, and the losses the store suffers can be devastating to their bottom line. For any retail store in the United States and across the globe, having a loss prevention system in place or a loss prevention officer in their store can be the difference between having profits or losses during their fiscal year. Shoplifting theft accounts for almost 40% of the total theft a store experiences, and even though the amount an employee steals can surpass that of the common shoplifter each instance it happens, the shoplifting theft can be considerable every year. According to many pieces of research, retail stores lose approximately $35 million a day due to shoplifting or $48.9 billion in a year. Those detrimental statistics in the retail industry are worth considering when many stores and businesses decide whether to invest in a loss prevention system or a loss prevention team to combat the shoplifting in their store. 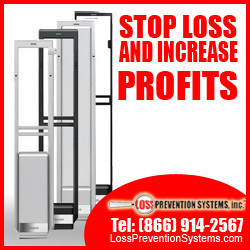 A loss prevention system expense can be recovered within a short period of time, and if your losses are increasing each year, the time you will recoup the money invested in the system shortens considerably. The introduction of a loss prevention system in the store allows your employees to dedicate more time with the customers entering your store, than attempting to catch the shoplifter. The system also allows your store to be protected and send a message to the shoplifters. Shoplifters know where and which stores to target. If you are a store that doesn’t prosecute shoplifters or doesn’t have a loss prevention team or system, you are vulnerable and can become the target store for many of these shoplifters. For the retail industry and small businesses in general, the holiday season has started, and for them, this season can be a financial boost for their business. The significant change in sales, profits, and employment take a front seat during the holiday season, and it can be a breaking or making point for many businesses across many industries. By November, the retail industry has hired many part-time sales personnel to help with the holiday season, expecting those employees will be ready when black Friday sales start. Many of those businesses will let go many of those employees, but some of them will stay with the business well after the season is over. The benefits associated with keeping those employees on payroll are many, but most importantly, it is the expense associated with hiring new employees every few months that make sense. Many businesses strive to hire quality employees and can see the benefit in training them and keeping them well after the holiday season is over. The expense of hiring new employees regularly makes no financial sense for them considering the rise in costs associated with it. According to the Society for Human Resource Management (SHRM), the cost of hiring a new employee is $4,129. Not only that, but it also takes weeks for those employees to be ready to perform their job well, and if not trained properly, the cost of retraining puts a financial strain in the business and their profits. When paying for a background check before hiring a new employee, or for proper training the first time around, the costs associated with acquiring quality employees can become minimal if done properly the first time around. Many businesses now a day hire new employees constantly, never training them well and getting rid of them before their first paycheck arrives. That’s a very costly way of acquiring employees or retaining the ones they have, and acquiring good employees using this method is riddled with problems from the beginning. A business needs to invest in properly hiring and training their new hires. The financial benefits will follow for the business. One of the most prevalent crimes in the United States is shoplifting. While many state governments and lawmakers have taken a strong approach to combat shoplifting, it is a battle that keeps the retail industry checking their loss prevention measures, and their ability to combat this crime. According to the National Association for Shoplifting Prevention, (NASP) the retail industry loses approximately $35 million per day. Even when advances in technology have aided the loss prevention team in combating this crime, figures about shoplifting has shown an increase in the average inventory shrink rate to 1.44 percent. The average shrink rates take into consideration shoplifting, internal theft, vendor or merchant errors and administrative errors. And although shoplifting accounts for more than a third of the losses, internal or employee theft is pretty close behind. An employee that is using the cash register as their personal piggy bank, or an employee that steals merchandise worth hundreds of dollars in one incident can be as detrimental as the shoplifter entering the store and stealing merchandise from the shelves. How can you prevent or combat shoplifting in your store? Training – One of the best measures for the prevention of shoplifting is training the loss prevention team and management of the store to spot and react accordingly when witnessing a theft. If a theft is happening and a trained employee is a witness to the incident, merchandise can be salvaged and the shoplifter can be apprehended without having the incident escalate to violence. Hiring – Background checks before hiring an employee can save you time and money. An employee with a clean employment record can be hired and trained and become an asset to the business right away. According to the 2014 Industry Training Report, small companies with less than 1,000 employees spent an average of $1,238 per training per employee that year. If the new employee is not properly checked or interviewed, the company might lose money and labor that eventually translates into loses for the business and their ability to grow. Customer Service – The research regarding this important area in the retail industry is unanimous in their findings. Better customer service means less theft. Not only that, but better customer service translates into more profits. Happy customers can be an asset to any business. Good PR can mean more sales, more customers and more profits. Shoplifting System – Installing a shoplifting system in your store is part of a solution to the problem, not a whole solution by itself. The system will discourage thieves and employees from taking merchandise out of the store without paying, and that is an advantage you cannot do without. If you are interested in installing a shoplifting system, training your personnel, or using background checks to perfect hiring, call us. We are a company dedicated to providing stores and other businesses the tools necessary to succeed. For a small business owner, bringing sales to their business is not an easy feat. It requires lots of hard work and diligence. For an owner or manager of a retail store, it requires a lot of hard work to be profitable and to prevent shrink and losses in their stores. For them, the acquisition of affordable technology and software to help them prevent losses due to shoplifting, shrinkage, clerical or merchant errors is instrumental in having a successful and profitable business. For many years now, the increased use of technology and the benefits associated with it has been self-evident in many industries, and the retail industry is no exception. The value and transformation technology has brought to retailers, merchants and customers have been invaluable to them and to their bottom line. Technology usage has allowed them to decreased costs while maintaining better data and solutions that allow them to target specific areas within their business. RFID systems and software have been around for many years now, but the adoption rates have increased considerably over the last few years due the lower cost and ease of use. Still, small retailers that are struggling financially will be less inclined to invest in an RFID system or any other type of loss prevention system despite needing it most. The cost associated with acquiring a system that will help prevent losses, and help you target issues in your retail store can help you recover the cost associated with the system within a year in many cases. Loss prevention systems and the costs associated with them can vary considerably, but businesses have many options depending on what they want the system to accomplish. Here is a technology linked with the retail industry that may be gaining ground with many benefits associated with its adoption. RFIDs systems usage has provided many merchants great ROI and revenue increase within the first year of usage. The capabilities of this system to provide accurate inventory to the store owner or manager of the stores has seen an increase in their revenues while providing customers the merchandise they need and want. RFID technology will allow businesses across industries up to the minute data and reliable inventory data. RFID technology will save expenses where inventory related labor is concerned while achieving better and more accurate inventory data. Acquiring a loss prevention system can be daunting in the beginning due to the financial expense the business has to go through, but it is necessary if the business wants to stay competitive and profitable. The retail industry loses an approximate $45 billion a year due to shoplifting, organized retail crime, merchant, and clerical errors. For the small retail owner, any loss due to shoplifting puts a financial strain on their ability to do business, hire more personnel or invest and grow their business. The competition in every industry is brutal, and the retail industry is no different. The online option the customer has of buying whatever they need or want with the click of a button is especially hard for a small retail owner. Their inventory and profit margins they’re dealing with are nothing compared to the big-box chains’, and any loss they suffer is particularly painful for their profits. There are many businesses that cannot afford to invest in new technology to deter or prevent shoplifting, and they are left with the option of losing more cash and inventory or close their doors permanently, all due to this crime. But, if they cannot invest in technology, and they cannot hire more personnel, what are some low-cost options they can implement in their store to deter or prevent shoplifting? One of the great assets these small retail stores have compared to the big chains or online stores is the customer service they can provide to their customers. Providing the customer with a greeting when they walk into your store and offering them great customer service has shown to decrease shoplifting and increase customer satisfaction. A satisfied customer is also more likely to promote your business. In today’s social network platforms, a bad experience can potentially reach thousands of customers with disastrous backlash for you and your store, but a good experience can also do the same, it can reach many potential customers that want to do business with you. Treat your customers as a business ambassador for your business, and you will see the results in your profits. Keeping a good inventory of what’s selling and the number of items you are missing-whether they were sold or stolen-from the shelves can help you keep an accurate count of the merchandise. Do you know at a minute’s notice what inventory you have on hand? There are software solutions that help retailers keep track of such matters, and allows them to have reports daily and online to help them make adjustments, order more inventory if necessary, and know at a moment’s notice the state of their inventory. The design, cleanliness and how well your product displays are kept are important in keeping shoplifting at a minimum. Well lit aisles, merchandise displayed properly and organized can make the shelves look pretty and the items displayed can allow you and your employees to account for the merchandise with a quick look to the shelves. Your employees are your best bet to deter and prevent shoplifting. Research has shown happy employees are the best asset your company has for success, and in this case to deter and prevent shoplifting. Salaries are not the only incentive your employees look for when entering a new business, treating them with respect and allowing them the ability to prove and express themselves are key to the success of any business. Shoplifting affects every citizen and every member of society. The way you respond to a shoplifting accident and the way you treat shoplifters reflect on how you conduct yourself and your business. The laws in the United States concerning shoplifting undergo changes that in some instances put the strain on the retailers and their profit margins. The shoplifting law changes in 2014, in California, for example, let retailers in the state feel a sense of vulnerability and hopelessness. They expressed concerns about the fact that the laws allowed individuals to feel empowered to go into a store and shoplift without getting into too much trouble. Those losses are not only detrimental to the profit margins of the store but can mean an increase in the number of shoplifters that can enter the store feeling embolden to steal. Such an increase comes with an increase in violence, and retailers are feeling the change. Proposition 47 passed in 2014 that reduce the penalties for many crimes, shoplifting included a law change that has left many retailers feeling vulnerable. On the other hand, big retailers such as Wal-Mart, Bloomingdales, and Krogers are being sued for extorting customers. They accuse customers of shoplifting and then charging them money for the “courtesy” of not calling the police. The customers are bullied into paying for an online class by a company called Corrective Education Company and then the company pays Wal-Mart, Bloomingdales, and Krogers a cut of what they are charging these accused customers. The practice is insidious and wrong according to the legal company carrying the lawsuit, and customers and retailers have to be aware of this insidious and amoral practice. Shoplifting is a crime, and retailers are arguably upset by the law changes that make it for them more difficult to do business. But, accusing customers that do not have the financial means to hire legal counsel is preying upon the poor and defenseless, and that is morally wrong. Protecting a business from shoplifters is the responsibility of the owner and the management team, and no one understands the travail the loss prevention team goes through every day when the store opens its door for business. If, as a store owner, you are asking yourself what is a good solution for the prevention of shoplifting, we have to tell you, you have many. But, one of the most effective solutions you have at your disposal for the prevention of shoplifting in your businesses is training your personnel and management team. Research has shown time and again that having trained personnel in your store or business decreases your losses thus increasing your profits. Reviewing your store policies today and training your employees about the ramification of not following them properly is imperative. The consequences of not following those policies properly are too costly to postpone. Employees, as they are human, try to use shortcuts or in some instances, take the easy way out while doing some chores without thinking it may affect the bottom line at the end of the day. Profits for a store cannot be thought of as profits for the owner only, employment and benefits for the employees are inherently tied to those of the owner. If the owner must close the store for loses, the employees lose as well. Is it time then to review the policies and procedures the employees must follow while working at the store? You bet. If you do not think it is necessary to do a complete training workshop today, you must at least remind them of the policies, the procedures, and their responsibility to stay calm and professional at all times. Safety plays an important topic when talking about staying calm and professional while dealing with a shoplifter. Their safety and the safety of the customers cannot be jeopardized by carelessness or by improper behavior. By reminding them of this important and oftentimes forgotten topic, you are ensuring fatalities or brutal behavior do not occur at your store. Click here to read about a news story and the fact that many retail shop owners deal with this issue on a daily basis. The return policies of any store have to be continuously checked and tried to asses their effectiveness, otherwise, you may be dealing with a deficit you cannot recover from.